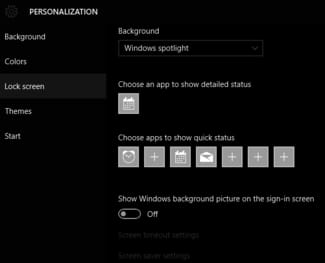 Unlike the lock screen wallpaper which is highly customizable, the sign-in screen wallpaper (also known as the hero desktop image) of Windows 10 is standard for everyone. 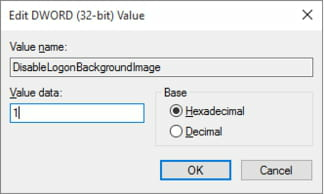 This guide describes two simple methods to remove the hero desktop image and replace it with a solid color background. The Threshold2 update introduced a new setting to toggle Windows 10's default hero desktop image on/off. command and press Enter to open the Registry Editor. Close the Registry Editor and reboot your PC to apply your new settings. N.B. You can restore your default settings by deleting the DisableLogonBackgroundImage key in the registry. 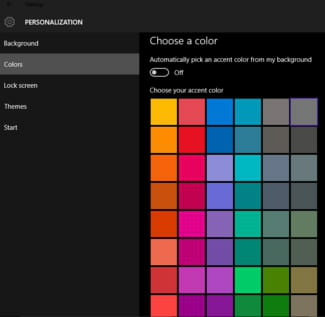 Windows 10 will apply the new color scheme system-wide, including on the sign-in screen. Published by deri58. Latest update on February 12, 2016 at 03:04 AM by jak58. This document, titled "Disable Windows 10 Sign-in Screen Wallpaper," is available under the Creative Commons license. Any copy, reuse, or modification of the content should be sufficiently credited to CCM (https://ccm.net/).